Ski in Ski out location in Vail! Vail's best kept secret with unparalleled ski-in/ski-out location, this penthouse offers an off the chart setting with views to both east and west. You'll see Chair Six, Gondola One, and International as the backdrop in one direction. Then take in drop dead, direct views of Gore Range in the other. Vaulted ceilings with beautiful dormer windows have been added throughout. French balconies, office/library, loft area, and expanded bunk room add to the volume and views. Master suite with double his-and-her baths, two fireplaces, and four additional bedrooms each with ensuite baths. Two parking spaces, two storage spaces and two slopeside ski lockers offer room for cars and toys. Don't miss out on this rare offering. This exclusive development has turned over only seven resales in 40 years. Located at the entrance to Beaver Creek Resort, this 2 bedroom 2 bath condominium offers high end finishes with slab granite counters, hand hued wood floors, and stainless steel appliances. 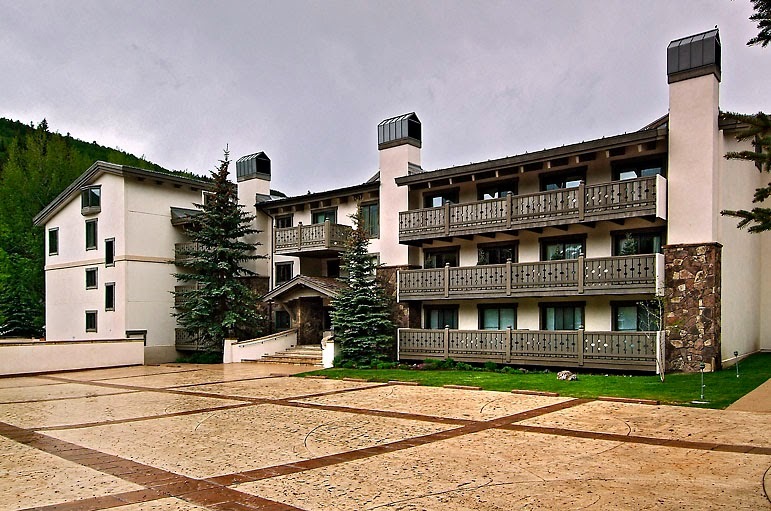 Amenities include ski shuttle to Beaver Creek and Vail, on site management, ski lockers, pool, fitness room and numerous recreation spaces for owners. Looking for an alpine setting? This 4 bedroom 4.5 bath completely remodeled duplex located in Highland Meadows features a breakfast nook, custom stone and hardwood flooring, wood burning fireplace with stone detail, gourmet kitchen and updated bathrooms with a steam shower in the master. Great outdoor space with Trex decking and over sized hot tub only 5 minutes from Vail Village. Is Vail Valley’s home market ready for a bounce? EAGLE COUNTY — The local real estate market continues to strengthen from the depths of the local and national economic slump, but that recovery can be slow at times. Looking at the most recent numbers from Land Title Guarantee Co., which tracks completed sales recorded with Eagle County, August was a good example of a decent month. Compared to August of 2013, there were slightly fewer sales for the same period this year, but those sales generated a bit more revenue. August’s numbers reflect the trend seen so far this year. Through the first eight months of the year, overall unit sales are down 6 percent from 2013, while sales volume has increased by 28 percent. Those numbers reflect a couple of trends at work. First, prices seem to be firming up and increasing somewhat. Second, fewer units selling for more money also indicates a relative lack of inventory, especially for units priced at $400,000 or less. 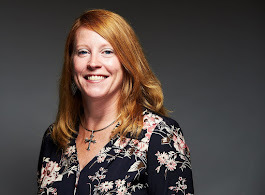 Laurie Slaughter for a number of years has managed the Gypsum office of Berkshire Hathaway HomeServices Colorado Properties. Slaughter said that the market is still a bit soft for homes priced at $400,000 or more. That could be due to the fact that homes at that price begin to compete with condos, townhomes and duplexes in the middle of the valley. Those buyers may be choosing the convenience of location over the extra space available in the western valley. On the other hand, Slaughter said she’s seeing couples move into bigger homes in the lower valley once they start having kids or having more kids. First-time buyers, though, tend to find better prices in Eagle and Gypsum. At the moment, though, there just isn’t much on the market. The foreclosure wave that hit the county between about 2009 and 2012 has crested, so there are fewer homes on the market. The homes that are for sale are generally more expensive than they were a couple of years ago. While there’s a good bit of pent-up demand, Slaughter said not much is being built right now. Some concerted building would probably stabilize prices somewhat, she said. And prices are driving virtually all of the market these days, from first-time townhomes to slopeside mansions. 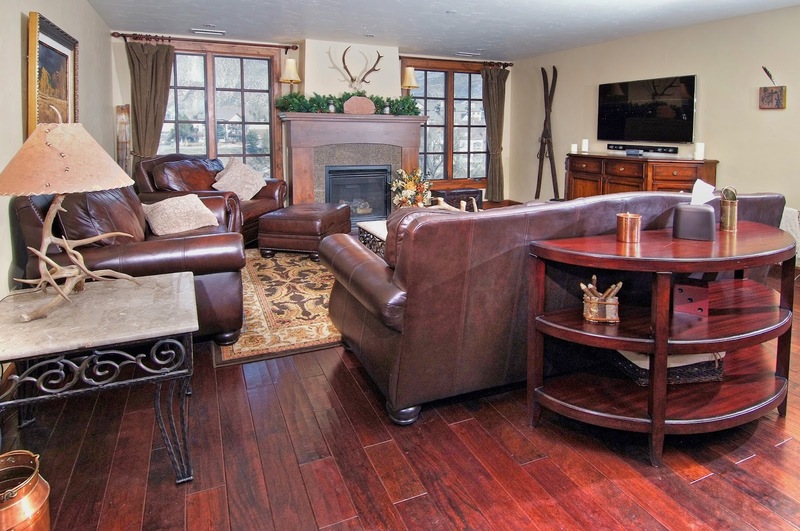 Privacy and views of Game Creek are just two of the wonderful attributes of this home in EagleVail. 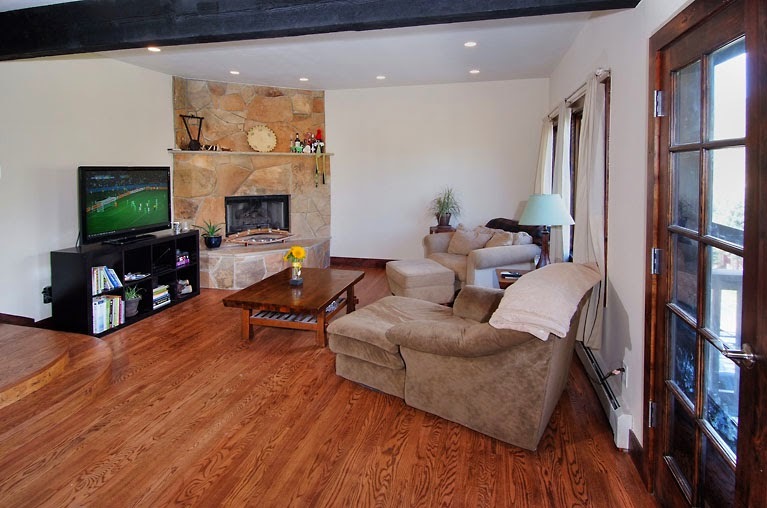 Backing up to the national forest this 3 bedroom duplex offers hard wood floors, stone fireplace, remodeled baths, new appliances, new carpet, and a 2 car garage. Thanks to a number of high-end sales this winter, real estate closings in April produced the best month thus far this year in terms of dollar volume. Sales in April were also the strongest the county has since July 2008, with $239,411,420 in total sales volume, according to the latest report. The dramatic upswing, up from only $104 million in March, was largely fueled by high-end sales, including the sale of Vail Village’s Galatyn Lodge for $28.6 million. Overall, there were 10 transactions for more than $5 million, said the Land Title Guarantee Co.’s monthly analysis. The two highest residential sales were also in Vail Village, which sold for $19 million and $14.5 million. There were also 11 transactions in the county that sold for between $2.5 million and $4.9 million. These high-end sales created a staggering $1,639,804 average sales price for April. However, the overall median price for property sold in Eagle County was $567,500. Prices have steadily been making their way up throughout the year, and buyers are beginning to realize that if they want a good price, they need to buy now, said Slifer, Smith & Frampton President Jim Flaum. In some cases, homes are selling at or above 2008 prices. Most of the high-end sales happened in the winter, when prospective second-home owners were in town. Flaum said he thinks the April spike isn’t an anomaly — prices and transactions are generally trending upward — but the amount of the sales was affected by some major transactions and the time of year. “A lot of prospects who have been out there looking are finally realizing that the price of the market is at the bottom and now starting upward. They realized that if they wanted a good price and a choice pick, they had to act,” said Flaum. Most of that activity has been centered in Vail, but Flaum said the rising prices and “buying flurry” were trends throughout Eagle County. Vail led in number of sales in the county with 31 total sales — including 13 in Vail Village and two in Lionshead. The two villages are the focus of much of the county’s real estate growth at the moment, said Slifer, Smith & Frampton broker Led Gardner “So far we’re not seeing similar sales in Beaver Creek. There’s some activity, but the rebound in pricing is in Vail’s core area,” said Gardner. “However, the hope is that this will set the bar for the rest of the valley for the remainder of the year.” Another trend for the high-end market has individuals buying older homes to tear down and rebuild. “We’re seeing a lot more speculative projects. There’s a dearth of land, and we’ve seen several examples of people buying an existing older home, tearing it down and building something for their own use,” said Gardner. According to the April report, the rest of Eagle County had a busy month as well. For the first time in a number of months, Eagle and Gypsum were out-sold in the number of transactions. In April, Avon was active with 13 transactions, followed by Arrowhead with 11. Eagle-Vail had five transactions, Eagle had eight and Gypsum had 10. Great location in Vail Village. This ground floor, corner location offers an easy walk to the slopes, dining and shops. 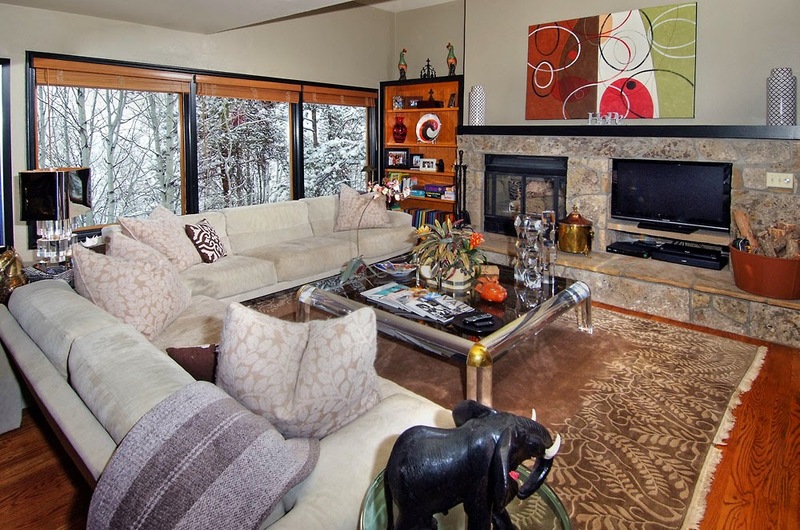 Exclusive opportunity to own a 50% interest in #135 and be in the heart of Vail. 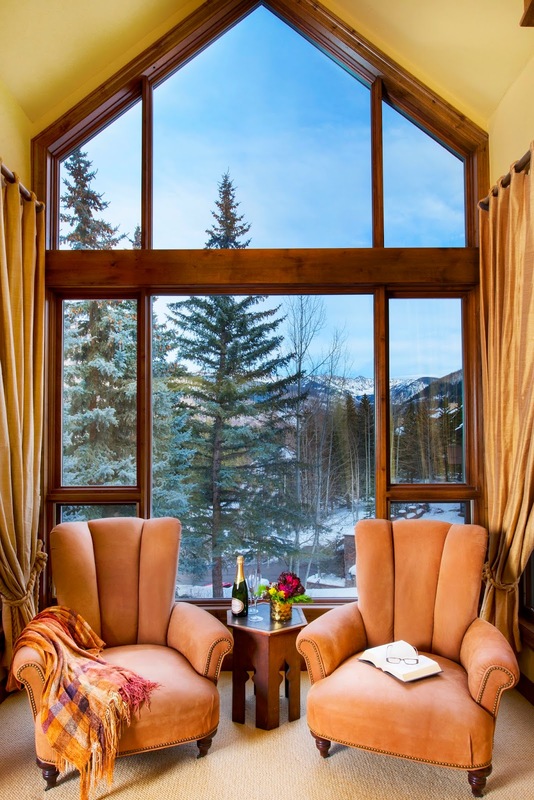 VAIL, Colo. – April 10, 2014 – When the world’s eyes turn to the Vail Valley for the 2015 FIS Alpine World Ski Championships, Slifer Smith & Frampton Real Estate, the premier real estate company in the area, will help ensure that the view is golden. As an official sponsor of the Championships, Slifer Smith & Frampton is continuing a long-standing tradition of supporting the community through sponsorships of events, monetary and in-kind donations and countless hours of volunteer work. By serving as an official sponsor for the event, SSF will be able to host receptions for the community as well as host the Official 2015 Donor Party. Founded in 1962, Slifer Smith & Frampton has long been an integral part of bringing events to the area and making Vail and Beaver Creek what is it today. Supporting and participating in historic events like the 2015 World Championships is fundamental to the fabric of the company. As the sole real estate sponsor of the World Championships, Slifer Smith & Frampton will be aligned with world-class brands like Audi, which is appropriate when considering the level of service and luxury that SSF provides. However, Flaum was quick to point out that SSF, though not a global franchise, has an international clientele that has seen double-digit growth in years following the previous two World Alpine Ski Championships. 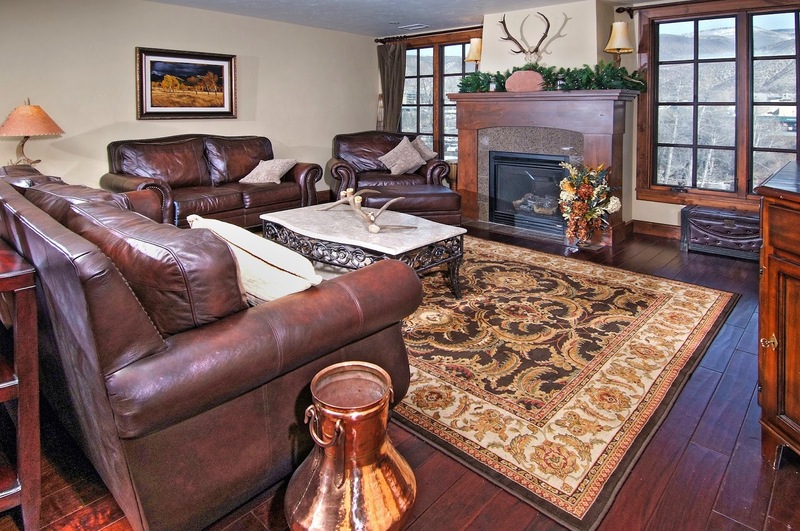 Spend Thanksgiving in Vail at a FRACTION OF THE COST! This 2 bedroom 2 bath condo sleeps up to 6 and offers a large balcony with views of the ski slopes.Building offers easy access to Lionshead, Cable TV, Internet,Common building washer/dryer, sauna, pool & hot tubs. One of the neatest deductions itemizing home owners can take advantage of is the mortgage interest deduction, which you claim on Schedule A. To get the mortgage interest deduction, your mortgage must be secured by your home — and your home can even be a house trailer or boat, as long as you can sleep in it, cook in it, and it has a toilet. Interest you pay on a mortgage of up to $1 million — or $500,000 if you’re married filing separately — is deductible when you use the loan to buy, build, or improve your home. If you take on another mortgage (including a second mortgage, home equity loan, or home equity line of credit) to improve your home or to buy or build a second home, that counts towards the $1 million limit. If you use loans secured by your home for other things — like sending your kid to college — you can still deduct the interest on loans up $100,000 ($50,000 for married filing separately) because your home secures the loan. Helpfully, the government extended the mortgage insurance premium deduction through 2013. You can deduct the cost of private mortgage insurance as mortgage interest on Schedule A — meaning you must itemize your return. The change only applies to loans taken out in 2007 or later. What’s PMI? If you have a mortgage but didn’t put down a fairly good-sized down payment (usually 20%), the lender requires the mortgage be insured. The premium on that insurance can be deducted, so long as your income is less than $100,000 (or $50,000 for married filing separately). If your adjusted gross income is more than $100,000, your deduction is reduced by 10% for each $1,000 ($500 in the case of a married individual filing a separate return) that your adjusted gross income exceeds $100,000 ($50,000 in the case of a married individual filing a separate return). So, if you make $110,000 or more, you lose 100% of this deduction (10% x 10 = 100%). Besides private mortgage insurance, there's government insurance from FHA, VA, and the Rural Housing Service. Some of those premiums are paid at closing and deducting them is complicated. A tax adviser or tax software program can help you calculate this deduction. Also, the rules vary between the agencies. Prepaid interest (or points) you paid when you took out your mortgage is 100% deductible in the year you paid them along with other mortgage interest. If you refinance your mortgage and use that money for home improvements, any points you pay are also deductible in the same year. But if you refinance to get a better rate and term or to use the money for something other than home improvements, such as college tuition, you’ll need to deduct the points over the term of the loan. Say you refi for a 10-year term and pay $3,000 in points. You can deduct $300 per year for 10 years. So what happens if you refi again down the road? Example: Three years after your first refi, you refinance again. Using the $3,000 in points scenario above, you’ll have deducted $900 ($300 x 3 years) so far. That leaves $2,400, which you can deduct in full the year you complete your second refi. If you paid points for the new loan, the process starts again; you can deduct the points over the term of the loan. Home mortgage interest and points are reported on IRS Form 1098. You enter the combined amount on line 10 of Schedule A. If your 1098 form doesn’t indicate the points you paid, you should be able to confirm the amount by consulting your HUD-1 settlement sheet. Then you record that amount on line 12 of Schedule A. Determine if the system is eligible. Go to Energy Star’s website for detailed descriptions of what’s covered. And talk to your vendor. The product or system must have been installed, not just contracted for, in the tax year you'll be claiming it. Save system receipts and manufacturer certifications. You’ll need them if the IRS asks for proof. File IRS Form 5695 with the rest of your tax forms. The rules on tax deductions for vacation homes are complicated. Do yourself a favor and keep good records about how and when you use your vacation home. If you’re the only one using your vacation home (you don’t rent it out for more than 14 days a year), you can deduct mortgage interest and real estate taxes on Schedule A. Rent your vacation home out for more than 14 days and use it yourself fewer than 15 days (or 10% of total rental days, whichever is greater), and it’s treated like a rental property. Those expenses get deducted using Schedule E. Rent your home for part of the year and use it yourself for more than 14 days and you have to keep track of income, expenses, and divide them proportionate to how often you used and how often you rented the house. If you claimed the home buyer tax credit for a purchase made after April 8, 2008, and before Jan. 1, 2009, you must repay 1/15th of the credit over 15 years, with no interest. If you used the tax credit in 2009 or 2010 and then sold your house or stopped using it as your primary residence, within 36 months of the purchase date, you also have to pay back the credit. Example: If you bought a home in 2010 and sold in 2012, you pay it back with your 2012 taxes. That repayment rules are less rigorous for uniformed service members, Foreign Service workers, and intelligence community workers who get sent on extended duty at least 50 miles from their principal residence. Members of the armed forces who served overseas got an extra year to use the first-time home buyer tax credit. If you were abroad for at least 90 days between Jan. 1, 2009, and April 30, 2010, and you bought your home by April 30, 2011, and closed the deal by June 30, 2011, you can claim your first-time home buyer tax credit. The IRS has a tool you can use to help figure out what you owe. BROOMFIELD, Colo. — Jan. 10, 2014— The new year is off to an epic start with powder days and above average snowfall at all of Vail Resorts’ Colorado mountains including Vail, Beaver Creek, Breckenridge and Keystone. Since Jan. 1, our Colorado resorts have received up to four feet of snow, with even more forecast to fall this weekend. - Vail: 32” of snow with nearly 5,000 acres of open terrain and 30 lifts. - Beaver Creek: 26” of snow with 1,776 acres of terrain open and 24 lifts. - Breckenridge: 46” of snow with 2,382 acres of open terrain and 33 lifts. - Keystone: 21” of snow with 2,328 acres of open terrain and 19 lifts. Just weeks after the historic opening of Peak 6, and with nearly four feet of snow this month, Breckenridge is more than half way to its average January snowfall total with three weeks still to go! At Beaver Creek, the recent storms have allowed Ski Patrol to open the renowned Stone Creek Chutes, a favorite area of the mountain among expert skiers and riders. BEAVER CREEK — Gondola or chairlift? Beaver Creek will be giving skiers and riders a choice next season. Also, by having gondola cabins as part of the new lift, guests will have easier access to the Spruce Saddle area for nighttime and summertime dining and recreational activities. In coming seasons, those Spruce Saddle activities may also include an alpine coaster (named a Forest Flyer), ropes course and tubing hill. The year-round activities had been planned for an area closer to the base at the top of the Buckaroo Express Gondola, but nearby homeowners filed a lawsuit this fall opposing the project, calling it an “amusement park” and eyesore. Vail Resorts also announced on Thursday that they had reached a settlement with the Beaver Creek Property Owners Association and Greystone Condominium Association regarding the project. Under the agreement, the associations will request that the Beaver Creek Metro District purchase a permanent restrictive covenant from Vail Resorts for $5 million. The restrictive covenant will prohibit certain new recreational activities on much of the land at the base of Beaver Creek Mountain in perpetuity. Under the agreement, the metro district must fund the purchase of the covenant through a bond issue that would be subject to approval by voters in May, meaning that the cost of the protective covenant would be passed on to Beaver Creek homeowners and businesses. In return, the homeowners will support an application by Vail Resorts to the U.S. Forest Service to build the project in the area surrounding the Spruce Saddle restaurant. If the bond issue doesn’t pass, then the property owners have agreed to dismiss their lawsuit and not object to the construction of recreational amenities at the base of the resort. Those are some major upgrades, but the jury is still out on whether the improvements will be a hit with skiers and snowboarders. Avon skier and former lift operator Dan Gorin said he personally prefers to take the chair, but he said there’s no question that the lift needs to be replaced. “If it stops less and gets people up faster, I’m all for it,” he said. “It definitely needs to be replaced. It’s the oldest lift on the mountain and also the most used.” Others said they saw it as a convenience for families with children. “(My kids) are pretty good skiers, so they don’t have a problem with the chair,” said Ann McCormick, of Eagle-Vail. “But especially with a cold or windy day, it definitely would help families out on the ride up to have a gondola.” Still, others questioned if the convenience was worth the cost. One Edwards woman, who declined to be named, said she worried the cost would be passed onto resort guests. “I guess for guests it’s a different thing, but local kids know how to ride a chairlift,” she said. “It’s so expensive to ski here, and I think this is part of the problem. It’s stuff like this and adding escalators that raises the prices. Do we really need that?” Construction on the combo lift is slated to start in June. Resort officials said they haven’t yet decided which lift company they will use, but those details will be announced soon.